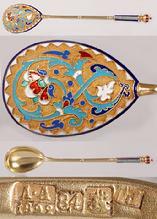 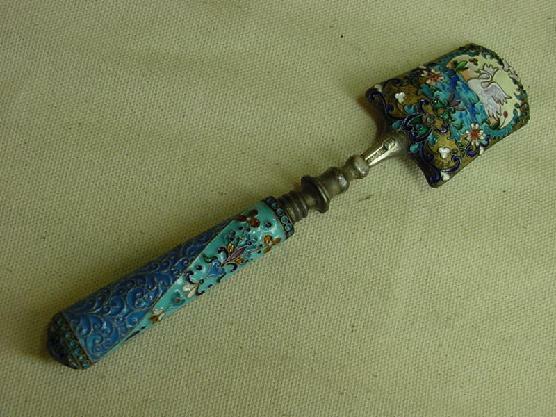 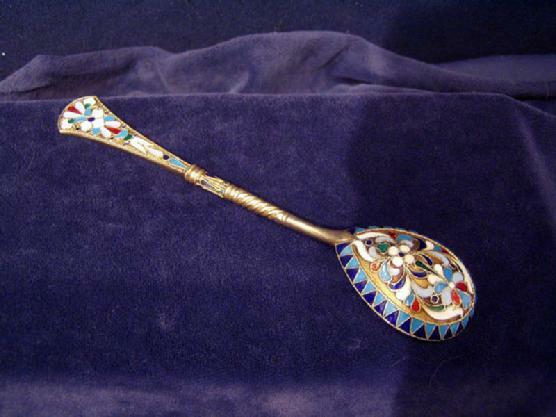 Large Cloisonne Enamel Spoon "St. Petersburg "
Cloisonne enamel spoon 5 7/8"
Enamel, that radiant, colourful, tender, and exquisite substance, can in the hands of an artist undergo completely unexpected transformations. 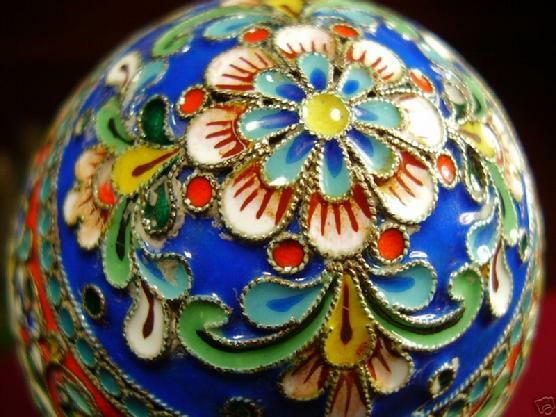 It is able to convey an artist's moods and intentions so delicately and so lyrically that it is often compared to Imperssionist painting. 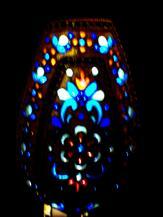 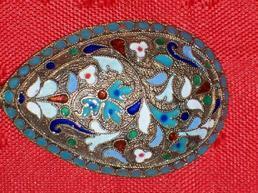 As material for enriching the colour of decorations on metal, enamel is a glass-like substance stained by metal oxides into different colours: red, yellow, green, black, blue, and white. 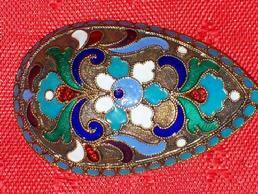 It is this rich palette that so attracts artists-enamelers. 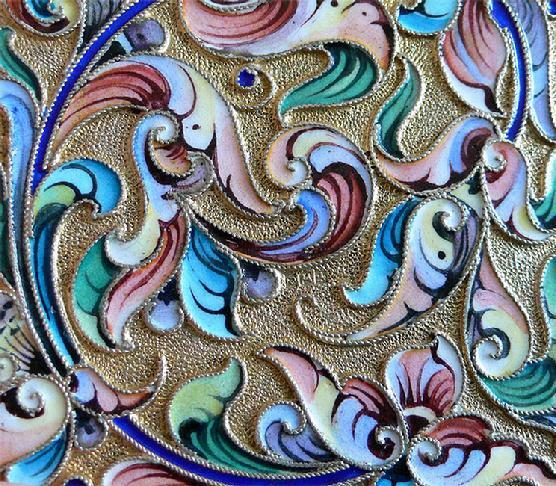 In order to turn enamel into a means of expressing an artist's intentions into a means of adorning metal with colourful decoration, a special technology has to be used to achive a durable fusion of metal and enamel, the two separate materials. 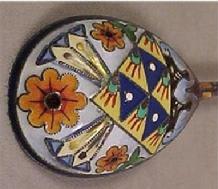 For this purpose pulverized enamel is applied to the surface of the metal and is heated at 700-900 *C. With respect to chemical composition, emamel can be transparent, non-transparent (opaque), fondant (colourless, transparent) or opal (translucent). 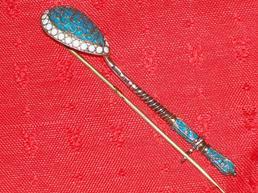 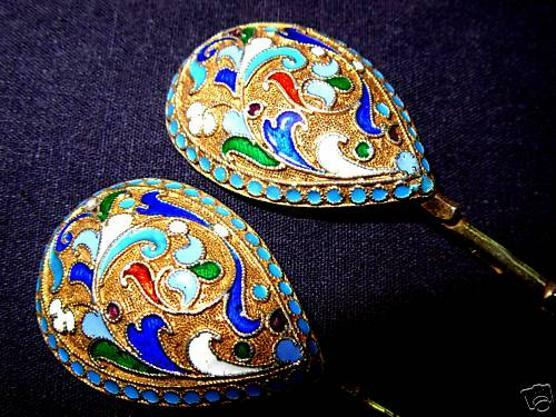 Almost all major Russian jewelery firms, such as Ovchinnikov, Faberge, Sazikov, Khlebnikov, Grachev, Nemirov-Kolodkin, Postnikov, Olovyanishnikov, Kurlyukov etc., as well as many jewelery workshops and artels used decorative enamel extensively. 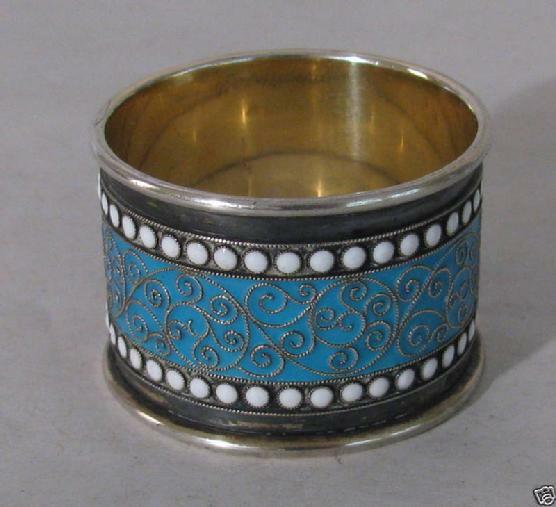 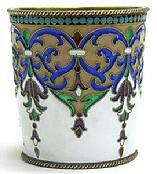 The firm of Khlebnikov employed the techniques of enamel over cast ground, engraving and filigree as well as champleve. 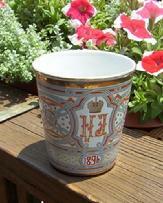 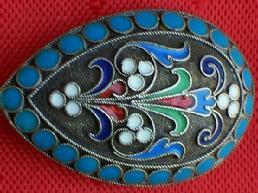 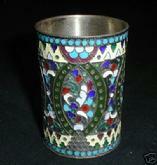 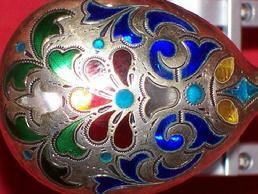 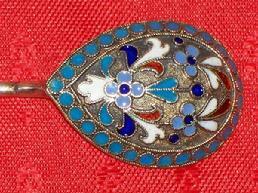 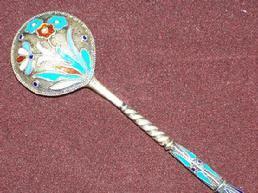 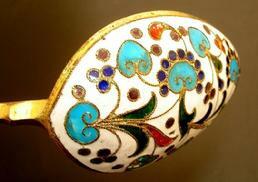 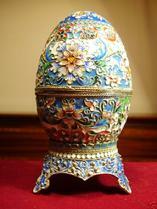 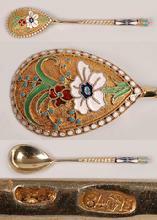 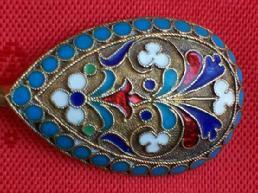 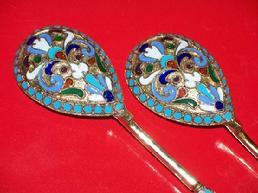 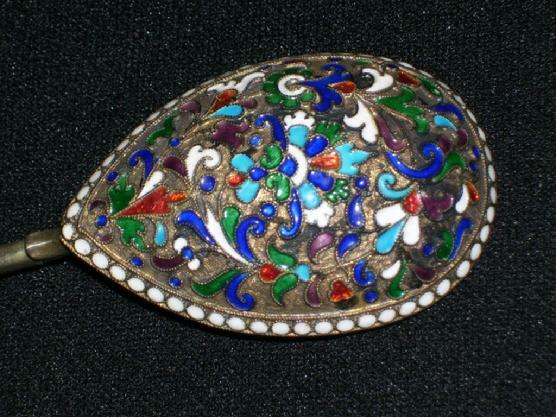 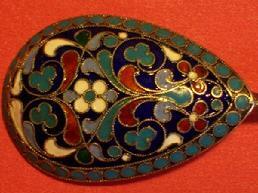 By the end of the 19th century Ovchinikov had mastered another technique - that of plique-a-jour enamel, and also revived cloisonne enamel. 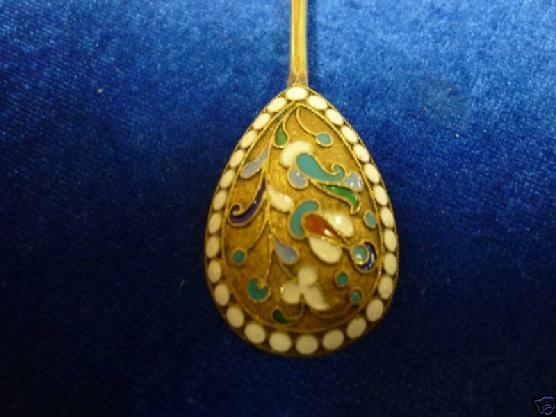 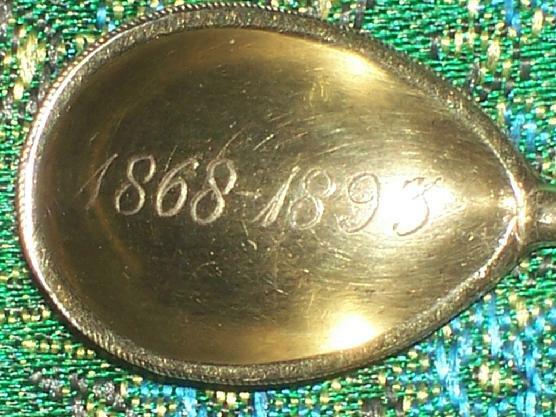 Faberge was especially famous for using the technique of enamel over a guilloche ground.